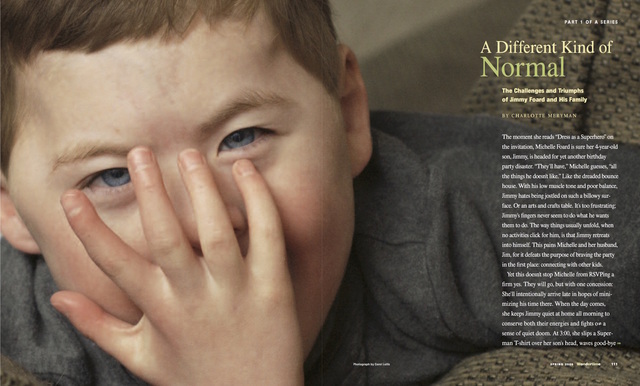 Born with a rare chromosomal disorder, Jimmy Foard of Longmeadow, Massachusetts, faces a host of developmental challenges. This four-part series, published in Wondertime magazine in 2006, follows his family as they help him learn and grow. Wondertime has since ceased publication, but the first three installments are still available online through the links below. Video updates on the story unfortunately are no longer available.